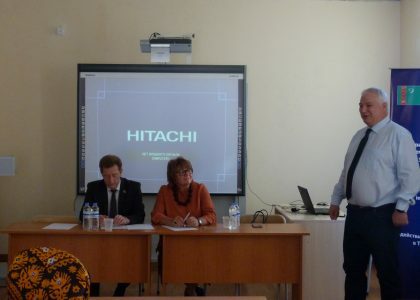 Methodological support for English teachers and Support to the Education Sector in Turkmenistan. Ashgabat, Turkmenistan. 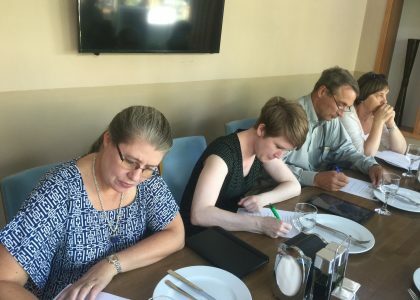 June 2018: Within the framework of the EU project “Support to the Education Sector in Turkmenistan”, Non-Key Senior expert Amanda Davies was in Ashgabat for her third mission. 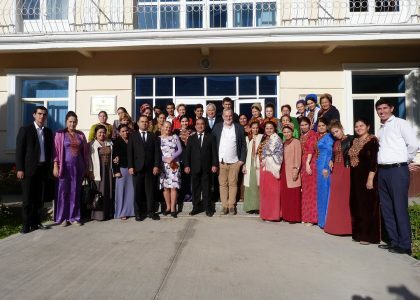 Based on two previous missions in February and March 2018, both positively received by Turkmen representatives, Ms Davies has developed a concrete training plan for forty English language teaching methodologists and 800 teachers across Turkmenistan. 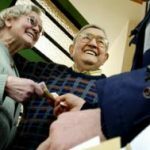 The expert worked closely with a team of ten English teachers and one Junior Non-Key expert Gyzylgul Rejepova. 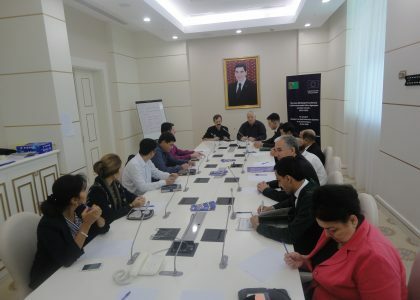 The focus group gathered from 25th to 29th June in Ashgabat to provide insights into a variety of topics. These included the training needs of teachers, teacher mentality and typical classroom practice. With the support of the EU expert, teachers undertook an analysis of international coursebooks, discussed ways to promote teacher professional development and shared their own best practices from the classroom. These insights are key for the planning and implementation of further training for English language teachers in Turkmenistan. If the current planning is implemented, it will be a significant step in aligning English language learning in Turkmenistan with international standards, in line with the project’s Terms of Reference.